We at Marion Tile can help you make your dream bathroom into a reality! From the concept to the design, product selection, installation, and final touches (trimming out), we offer a one-stop shop. 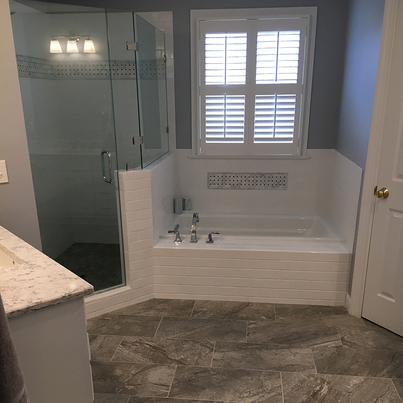 As tile specialists, and with a full general contractor's license, we are able to ensure not only that your bathroom is beautiful, but that it is structurally sound, exceeding building codes and waterproofed to last. With more than 54 years in business, we have designed and constructed every type of bathroom imaginable! Let our seasoned team of bathroom remodelers help you achieve your vision! Give us a call or fill out this brief form to get started!